-Duration of approximately 4.5 hours covering a ground distance of about 223 miles from launch to touch down. -Top speed of 92 MPH with much of it from 60-80 MPH. Average ground speed of 50 MPH. -Peak altitude of 87,320 reached right at the border of Illinois and Missouri. -The three cameras on board (a Flip pointed up, our GoPro facing down, and then Canon out the side) each recorded between 2 hours (Flips) and 3.5 (GoPro) hours of data. That’s 87 GIGABYTES of pictures and video. The Canon DSLR camera recorded approximately 9,000 still images. Due to the length of the flight, none of the cameras’ batteries lasted long enough to capture apogee but we got most of the flight. -Two onboard data loggers captured altitude, motion, light, and temperature information during the entire flight. That’s real scientific data collected that will be able to help researchers across the country. 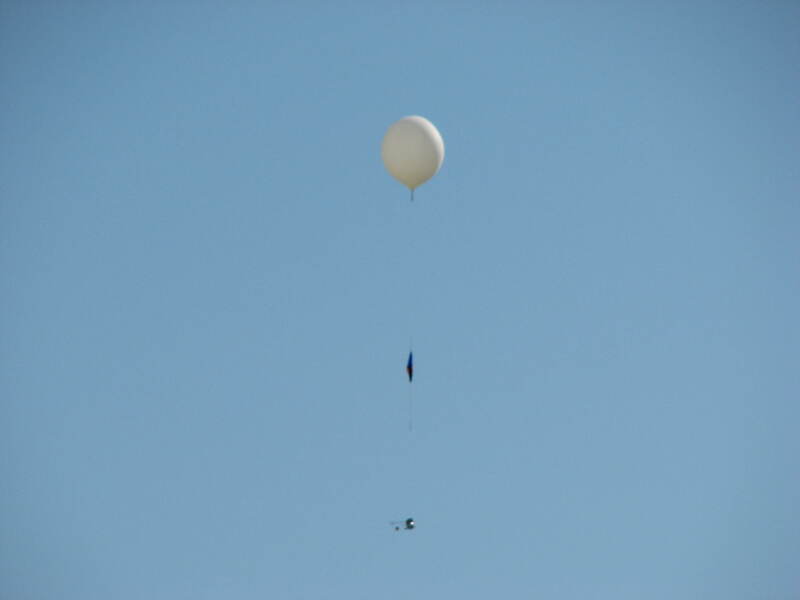 The balloon shortly after launch. 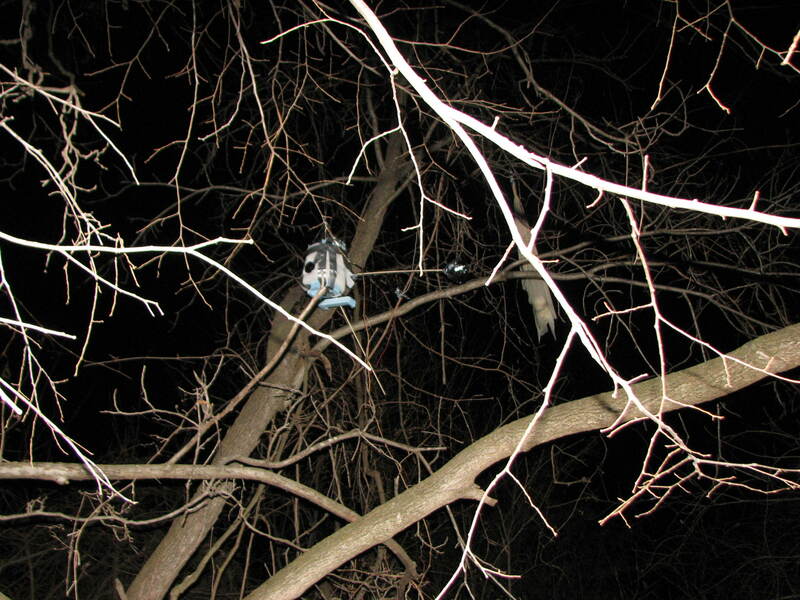 The tree that captured our landing payload in Illinois. 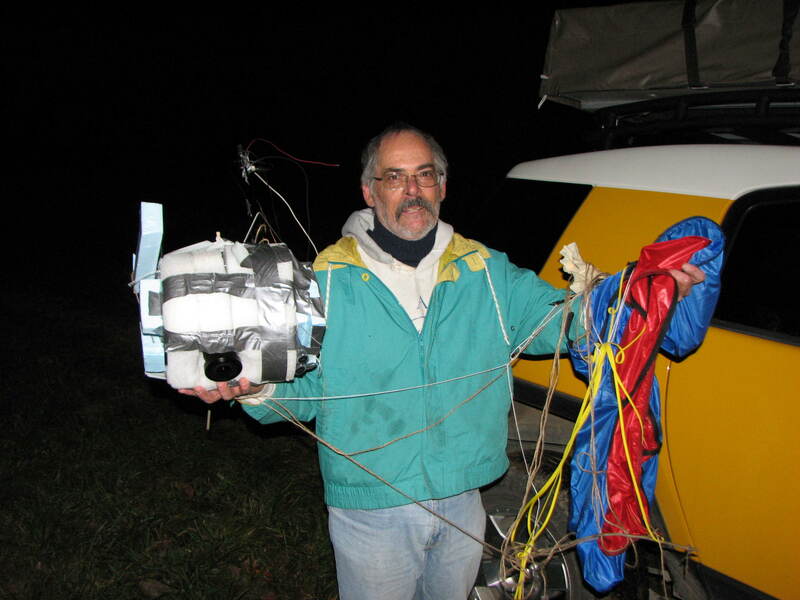 A tired Bob Riddle with our retrieved payload and parachute.